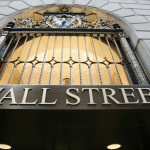 Investor days are one of the largest and most influential investor events a company can organize. They also are arguably the most overwhelming, triggering challenges in logistics and human resources for public companies large and small. But don’t let organizational challenges prevent you from hosting a successful investor day that will have both your company and your investors happy. A well-known portfolio manager once said to me that he loved diversified industrial companies “for their break-up value.” If you’re in the industrial space, this is the polar opposite of how you want investors to think about your company. For an industrial, it all comes down to ensuring that investors see your company as being more than a sum of its parts – not less. Here are four tips to ensure that investors believe your company is worth more than its breakup value. Synergize! An industrial company’s collection of businesses can either be viewed as just that - a disparate group of autonomous operations individually contributing to the corporate P&L. Or they can be seen as interconnected, mutually supporting components of a single profit-generating machine. The first way to demonstrate that your company’s whole is indeed greater than the sum of its parts is to communicate how the portfolio management philosophy of the business fosters cross-selling throughout the organization, driving revenue growth. Also focus on how management realizes cost synergies across the enterprise, such as through lower fixed costs due to shared overhead or greater combined purchasing power. Hosting an investor day can be a powerful way to raise management visibility and credibility, highlight the depth of your management team, and clarify your company’s value proposition and growth strategy. But planning a successful investor day is no small task. Here are five tips to help you along the way. In this three-part conversation, Sharon Merrill President and Partner Maureen Wolff shares insights on the IPO process from an investor relations perspective. In our final installment, we discuss the next steps a company should take after becoming public. The Podium: Hello, Maureen. Thank you for joining us again. In today’s discussion, we will focus on the actions companies should take after the initial public offering has priced. We imagine there is much to accomplish. MW: There certainly is. Hopefully, at this point, a newly public company already has completed the many messaging and infrastructure tasks we discussed in our previous conversations. Those items include having in place a completed IR website, corporate communications policy and training in public company employee protocol, Regulation FD and public speaking. Other items include selecting vendors for various investor relations activities, such as IR website hosting and news distribution. We’ve called upon our resident body language expert, Sharon Merrill EVP and Partner David Calusdian, to teach us to become better speakers – whether at meetings, investor conferences or in more personal settings. This four-part conversation provides a taste of the good, and bad, habits of executive presenters, with a few tips for improvement along the way. Today’s post is the finale in the series. The Podium: Well, David. This is the moment we’ve been waiting for, when you share your deepest presentation secrets. What are common mistakes you’ve seen presenters make over the years? DC: Let’s start with nervous habits. Nervous speakers will fiddle or fidget with anything. The reason is that many people do not know what to do with their hands. Some put their hands in their pockets, making them look stiff. Others fiddle with the keys in their pocket, a pen, a wedding ring or other jewelry. Presentation Training: Do You Hear What I Hear? We’ve called upon our resident body language expert, Sharon Merrill EVP and Partner David Calusdian, to teach us to become better speakers – whether at meetings, investor conferences or in more personal settings. This four-part conversation provides a taste of the good, and bad, habits of executive presenters, with a few tips for improvement along the way. Today’s post is Part III in the series. The Podium: As always, thanks again for joining us, David. We’ve had a highly informative series thus far. Today, we’d like to talk about voice. Let’s start from the beginning. DC: First, I always tell people to speak loudly, clearly and use vocal variety. That may sound obvious, but most speakers aren’t aware that they are being monotone or are not annunciating until they see and hear themselves on video. On a related note, a common voice problem people have is that they drop off their voices at the ends of sentences. They speak loudly for a period, and then suddenly fall off. The extreme version of the trailing voice is “vocal fry” – a raspy sound you make when you run out of breath, as if you were fighting to get the air to finish each sentence. Either way, your message loses its impact. And without that, there’s really no point. Presentation Training: Are You Looking at Me? We’ve called upon our resident body language expert, Sharon Merrill EVP & Partner David Calusdian, to teach us to become better speakers – whether at meetings, investor conferences or in more personal settings. This four-part conversation provides a taste of the good, and bad, habits of executive presenters, with a few tips for improvement along the way. Today’s post is Part II in the series. The Podium: Hello, David. Today we’re going to discuss eye contact and how we can use it effectively during our presentations. Why don’t we start with improving eye contact when using a projection screen, as with a PowerPoint presentation? DC: Maintaining good eye contact with the audience is a necessity. You should look at a screen only if you need to see the bullet points or graphic on the slide in order to speak to it. Glance very quickly to the screen, then back to your audience -- so that you can direct the audience to the screen but maintain their attention. Presentation Training: What Do I Do With My Hands? We’ve called upon our resident body language expert, Sharon Merrill EVP and Partner David Calusdian, to teach us to become better speakers – whether at meetings, investor conferences or in more personal settings. This four-part conversation provides a taste of the good, and bad, habits of executive presenters, with a few tips for improvement along the way. Today’s post is Part I in the series. The Podium: Thanks so much for joining us, David. Many readers of The Podium are frequent speakers at conferences or company events, so we’re hoping you can share some of your presentation insights with them. We thought for today’s conversation we would discuss that most perplexing of body parts for public speakers: the hands. DC: The hands, and the arms, for that matter, can stump a lot of speakers. Many speakers have no idea what to do with them, and frequently ask me where they should put their hands during a speech or presentation. The answer is that the hands shouldn’t be in one place at all. Speakers are more dynamic when they are free-flowing with their hands. You don’t want them to be too fast and going all over the place, but you also don’t want to look reallystiff and have them constantly by your side. Last week, I attended the NIRI Annual Conference. It was very educational and an incredible opportunity to meet and exchange ideas with many of the approximately 1,300 investor relations professionals from more than 20 countries that attended the event in Seattle. NIRI organized more than 45 informative panel sessions and workshops that were led by some of IR’s top influencers. While I wanted to attend each one, unfortunately I am not omnipresent. For those that I did attend, I left with several key takeaways that can benefit any IR program and wanted to share those with you here at The Podium. Sometimes the difference between success and failure when delivering a presentation is not the presentation slides at all. The problem most often is the presenter’s delivery. 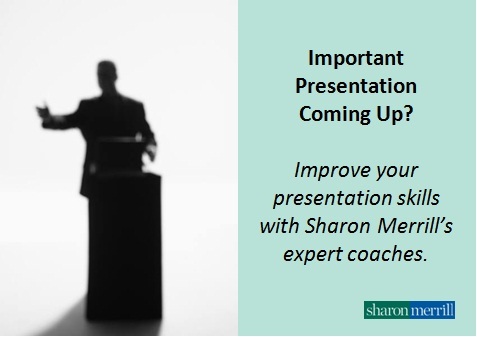 In the video below, Sharon Merrill Executive Vice President & Partner David Calusdian provides tips on how to get the most out of your presentation delivery.